With the SiriusDecisions Europe Summit 2018 just around the corner, we’re all waiting with baited breath to see what will be unveiled. We’ve spoken about the Demand Unit Waterfall® quite a few times. On 4th October from 11:30 – 12.15 we’re also going to be hosting a ‘lunch and learn’ session, which you can find out more about here. But if you haven’t had the chance to read those or attend the summit or you’re not familiar with the SiriusDecisions Demand Unit Waterfall®, don’t worry, here’s our quick recap of what you need to know. Released in 2006, this follows the now very familiar ‘pipeline’ that allows marketers to generate leads at the top of the funnel, passing the Marketing Qualified Lead (MQL) onto Sales to convert and close. In principle, the V.1 Waterfall is still exceptionally helpful for those businesses who are still at the beginning of their account based marketing journey. Performance Measurement – Giving insight into your processes. Revenue Forecasting – Assesses each stage for potential lead volumes. Demand Planning – Ensures activity will drive results set to meet targets. Demand Waterfall Diagnostics – Figures out the weakness in the current structure and suggests improvement. Despite it now being over ten years old, it’s still highly effective and allows for businesses which have a simple demand generation requirement to ensure higher levels of conversion. In 2012 SiriusDecisions relaunched its Waterfall with a refreshed model which incorporated a higher level of detail. V.2 took every element of V.1 -such as Inquiry- and broke it down into ‘Inbound’ and ‘Outbound,’ then assigned responsibility and ownership of each. The rearchitected model recognized the need for greater collaboration between sales and marketing and even helped to explain how each lead had originated, as well as when the ‘handover’ should take place within the funnel, with easy to understand color coding. By improving on the already successful original Demand Waterfall and fleshing it out with further detail, it ensures high levels of scalability and measurable results. Making it the perfect model for those businesses which had already established knowledge of the demand waterfall process. Interestingly, where V.2 had split out the top of the funnel and color-coded areas to denote responsibility, V.3 has streamlined this section again and recognizes most stages of the pipeline now feature joint accountability between Sales and Marketing. ‘Prioritized’ and ‘Qualified’ demand now blur the line between where an AQL or MQL becomes an SQL. This change allows for a more accurate lead score to be assigned and evaluated throughout the entire pipeline. Where V.3 comes into its own is with the two new stages ‘Target’ and ‘Active’ demand. These seemingly unobtrusive new stages form the basis of a highly successful pipeline because they encourage further research into a business’s target market and ideal buyer personas. Unsure how they fit into the pipeline? “Imagine you’re in car sales. There are millions of cars on the market, but there are only a small amount of people wanting to buy a car at any one time. These are the group of potential customers or leads who become your Target Demand. After recognizing this, your next question should be; of those people, how many want to buy a car right now? These are your Active Demand. 1. Demand is not a singular decision; it’s a group decision. Anyone who has been in marketing for more than 5 minutes will tell you that the “decision maker” isn’t a single person, especially in B2B! It’s a committee, a sophisticated group of researchers, champions, blockers, hurdles, etc. So while you might have 1700 inquiries in your Waterfall, if they all work for one organization, chances are you’ve only really got one opportunity. 2. Demand is not limitless. Every year targets go up, conversions get squeezed, and we want more. 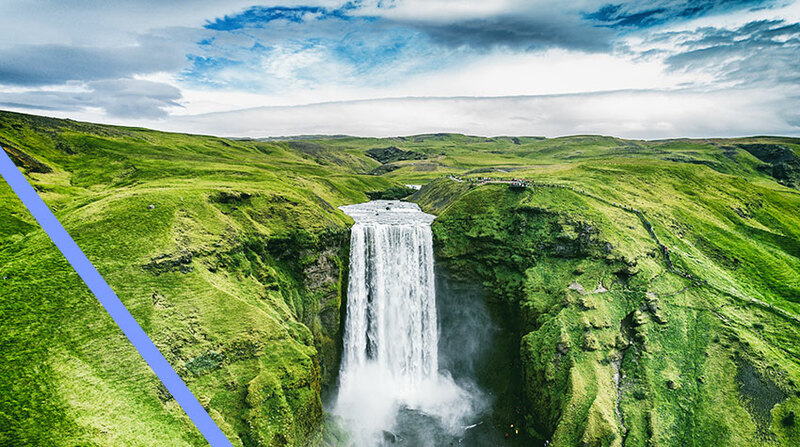 The previous waterfall didn’t account for the actual size of the market or Account Based Marketing (ABM) approaches much less, contract lengths or selling cycles. So although you may have had an industry leading conversion rate from SAL to close, if the addressable market wasn’t sized you’re still about to miss your target. 3. Demand should allow for Cross Sell. There’s a variety of solutions which most B2B marketers have to, well, market. The old Demand Waterfall didn’t recognize the complexity of your company portfolio, let alone the fact that leads might buy multiple solutions to solve multiple challenges. By streamlining its demand areas, V.3 has addressed this. 4. Demand holds everyone accountable. Lots of organizations struggle with this one. The Demand Waterfall helps to build accountability for each waterfall stage and with explicit SLA’s and KPI’s. This model often means more collaboration in achieving those SLA’s, joint targets and multiple streams to meet the same objectives, something that the new Demand Unit Waterfall® recognizes and allows for the implementation of. 5. Demand connects to each stage. Previous versions of the waterfall helped B2B Marketers connect the dots between Top of Funnel, Middle and latter sales stages. But much like the recognition of an involved buying committee, connecting demand allows deep connections between members of the same buying committee across the whole waterfall. We’ll see you at the SD Summit Europe 3rd-4th October 2018!